As part of the Canada Cup event, we are pleased to be able to offer a catered supper at the track on Saturday night with food prepared and served by Lucho Yabar and his staff at Fettuccinie’s. All dishes include pasta (gluten-free pasta with the Stuffed Portobello Mushroom) and are $15.00/person for adults, $10.00/person for children. Dinner service will start at 6:30pm. so if you would like to enjoy some delicious and effort free food after a day of racing, please complete the following form or send an email to paul@lecircuitquyon.com with your choice(s) of dishes, and the number of adult and/or child portions you want. Note that Lucho won’t be bringing extras, so it’s important that he know in advance how many of what that to bring and we won’t be able to accept reservations after 5:00pm, Friday June 28th, so reserve now! Note: Max opening data provided for comparison purposes only. Congratulations to Charlotte Lalonde and Crawford Kilpatrick on their 2012 quest for the Championship at the NCKC 2012 series. Charlotte managed to win the Briggs and Stratton senior class and was crowned Champion at the NCKC banquet last weekend at Funhaven. This was by far the most competitive class this year. 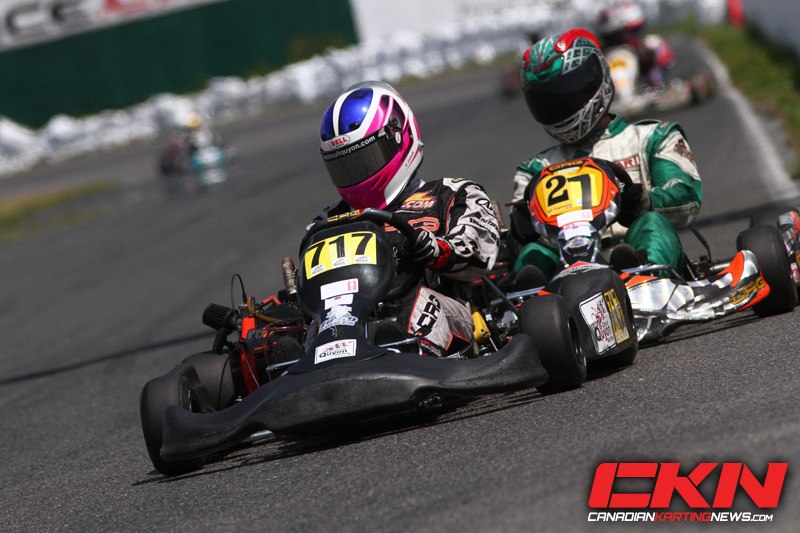 Charlotte and her CRG kart were fast and consistent all year long. Special thanks to KDM racing ( Kelly Michaud) for an awesome engine package that never failed us all year. KDM has also been chosen for our official engine supplier for the 2013 season. Crawford Kilpatrick also had an awesome season. Crawford was crowned the 2012 4 stroke GT champion. This was Crawford’s rookie season, and he was also crowned rookie of the year. His LCQ-prepared Arrow chassis was fast, fast, and faster as the year progressed. His driving skills progressed rapidly throughout the season due to many hours of practice and coaching by LCQ team instructors. 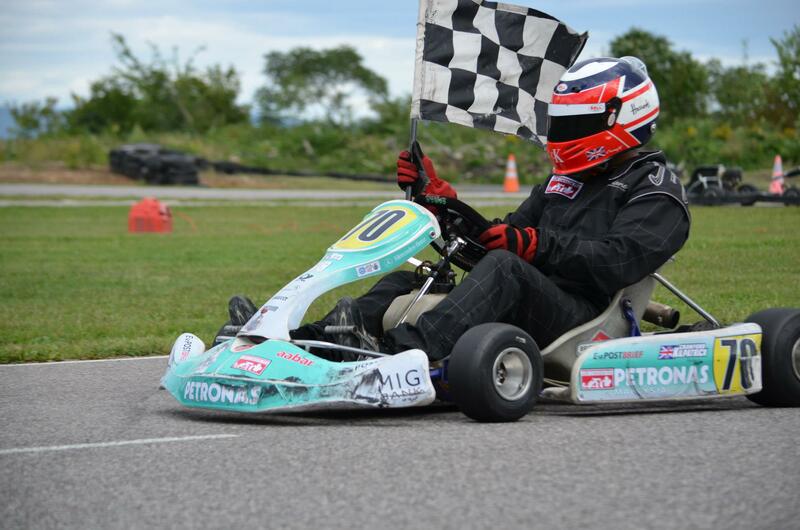 Crawford’s kart was also powered by B&S from KDM Racing – it proved very consistent and never failed him. LCQ is looking forward to its 2013 racing series. Details are being posted when available. If anyone is interested in joining our team please do not hesitate to contact us.